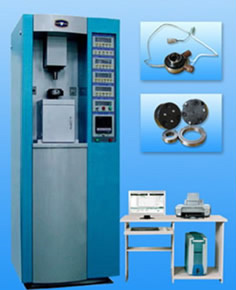 Its function and application are similar to FALEX6# Multi-Specimen Test Machine of USA. 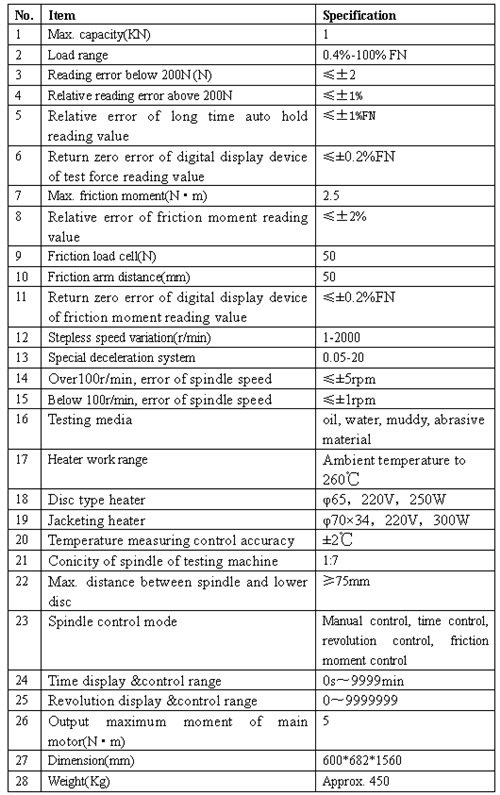 It is designed for simulating, evaluating and testing all kinds of high-class serial hydraulic oil, combustion oil, gear oil. It is used in tribology field, petrol chemical industry, mechanical, energy resource, metallurgy, space flight, universities, institutes etc. It has rolling, slip, or slip-roll etc. friction forms under certain contact pressure, with stepless speed variation system, and is used for evaluating friction &wear performance of lubricant, metal, plastic, coating, rubber, ceramics , such as lower speed pin-disc (with big-disc and small disc, single needle and triple-needle) friction function, four-ball long-time anti-wear performance and four-ball rolling contact fatigue, ball-bronze triple -chip lubricating performance, anti-thrust ring, ball-disc and stick slip friction performance test.